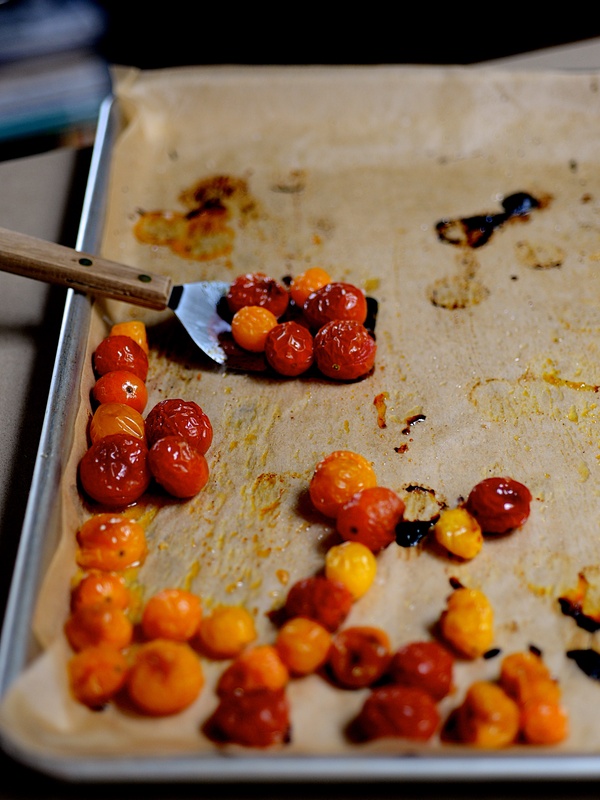 Cut the tomatoes in half horizontally— leave whole if using cherry tomatoes— drizzle with olive oil and a pitch of salt. Bake for about 45 minutes. Baking time can vary, but I usually leave in the oven until they look nearly sun dried and slightly caramelized.